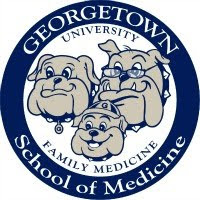 I told the whole prostate cancer story to a class at Georgetown University this morning, from the scientific evidence through last November's politically-motivated U.S. Preventive Services Task Force meeting cancellation that prompted my resignation from the federal government. When I was done, the instructor asked me why no present or past USPSTF members have yet come forward to confirm my story. It's understandable that my former AHRQ colleagues would remain quiet - unlike me, most of them don't have the option of leaving their jobs in the middle of an economic recession - but individual Task Force members aren't employed or paid by the government. Why haven't any of them spoken out about these insults to their independence and evidence-based medicine? I don't know the answer, of course, but I have two theories. The first is that the government and former TF Chairman Ned Calonge (who has steadfastly maintained the "scheduling conflicts" story despite the easily verifiable fact that virtually everyone who was invited to the November 2010 meeting was, in fact, able to attend, and had already made travel arrangements) managed to convince the rest of the Task Force that I have a political axe to grind and simply invented the tale of the White House's involvement. In other words, they think I lied. The second explanation is that the Task Force believes my story, but have rationalized that preservation of the group's existence is a greater good compared to drawing attention to a controversial guideline that will inevitably be portrayed by political opponents as health care rationing - especially if more "D" grade ("don't do it") recommendations are in the works. In the immediate aftermath of my blog post, my then-boss called me into his office and, after expressing his deep disappointment, called me an "idealist," as if it was a dirty word. (I hasten to add that after emotions cooled a bit, he was supportive of my decision and even helped to repair some strained relationships with my colleagues.) But that label - "idealist" - sticks with me now. Am I an idealist for believing that when the health of millions of men are at stake, science should come first, and politics second? Am I an idealist for wanting to be completely truthful to a group of respected scientists whom I spent 4 years of my life serving, and whom I considered colleagues and even friends? Am I an idealist for thinking that some means are never justified by the ends? Very well, then, I accept that label. And if being an idealist ultimately made me a pariah in government service, what is the opposite of idealist? I hoped at the time, and still do, that by making the reasons for my resignation public, I would ultimately help to preserve the scientific independence of the USPSTF and their decisions to only recommend clinical preventive services of proven net benefit, politics be damned. The new leadership of the Task Force, empowered by the 2010 health reform law, now has an unprecedented opportunity to support and improve the health of all Americans - even if that means telling them that there are some tests they just don't need. I pray that they seize it, and wish them all the best. Like the vast majority of doctors who blog, I write in my spare time. I have never accepted advertising or paid web links on Common Sense Family Doctor, and the choices of topics for posts are my own and not influenced by financial or other conflicts of interest. However, in order to support some of the time I devote to blogging, and to encourage good medical writing and clinical prevention practices, I do quite a bit of teaching in and around Washington, DC. Starting on Thursday, I will teach an 8-week graduate course in "Fundamentals of Clinical Preventive Medicine" at the Johns Hopkins Bloomberg School of Public Health. In addition, I have given well-received talks in the past on the uses of social media tools in medicine and education, identifying and developing good practice guidelines, and the evidence supporting specific recommendations of the U.S. Preventive Services Task Force (hepatitis, COPD, oral cancer, colorectal cancer, osteoporosis, and others). If you or your institution is interested in inviting me to speak about any of these topics, please e-mail me at linkenny@hotmail.com. Thanks for your continued support of Common Sense Family Doctor. Like many states, Texas is facing a fiscal crisis caused by decreased revenue from the economic recession and skyrocketing health care costs. Even without the expansion of publicly financed health insurance mandated by last year's health reform law, the percentage of the state budget devoted to Medicaid expenses is projected to rise from 28 percent to 46 percent by 2020, even faster if the law withstands current constitutional challenges. The situation is so dire that the Texas Tribune and the New York Times recently reported that state health officials have been considering measures to reduce overuse of pricey neonatal intensive care units by refusing to cover elective labor inductions or Cesarean sections without medical indications. That isn't a bad idea from a health outcomes perspective - since babies who are delivered prematurely for convenience reasons, or delivered surgically rather than through a trial of labor, are more likely to experience complications than others - but the fact that it's being seriously discussed illustrates just how desperate they are. Texas is, after all, represented by Senator Kay Bailey Hutchinson, who last October wrote a largely inaccurate editorial in Politico attacking the U.S. Preventive Services Task Force's role in making recommendations for clinical preventive services and concluding that "patients and their doctors - not the federal government - should have the freedom to decide what is best." So an outside observer might reasonably be at a loss to understand why since September 1, 2009, Texas has mandated insurance coverage for screening coronary CT scans every 5 years for an estimated 2.4 million people at risk for coronary artery disease. According to an analysis published in the Archives of Internal Medicine, at $200 per test, the law could lead to nearly half a billion (!) dollars in new health expenditures, cause about 200 new cancers, uncover at least 190,000 incidental findings of questionable clinical significance (most requiring additional testing leading to increased costs, inconvenience, and harms), and possibly save zero lives. Even if some patients are reclassified from the "moderate risk" to the "high risk" category by a coronary calcium score, there is no evidence that cardiovascular imaging results have any effect on smoking cessation, dietary habits, physical activity, or even medication prescribing. For CAD risk stratification or a screening test to aid in the evaluation of asymptomatic, intermediate-risk patients, it must answer the following three questions. Does the test independently predict coronary events beyond Framingham risk scoring alone? Does a positive test occur often enough in those at highest risk of CAD to make mass application worth it (i.e., sufficient yield)? Do patients identified as high risk by the test stand to benefit from therapy? If the answer to any of these questions is uncertain, there is no way to know if applying such a test to large populations of asymptomatic patients would be beneficial. Even with adequate data to answer these questions, the test actually could be harmful by causing false-positive results, providing false reassurance, or by labeling persons with a disease when interventions are not effective. Thus far, there is absolutely no proof that patients identified as "high risk" by coronary CT screening benefit from intensified therapy. Therefore, coronary CT screening is low-value health care at best, and wasteful and potentially harmful at worst. Before slashing Medicaid expenditures, Texas should first repeal this ill-conceived mandate. Dr. Kenneth Lin is a board-certified family physician practicing in the Washington, D.C. area. He is also the associate editor of the medical journal American Family Physician (AFP) after having his first article published in it during his third year in residency. In addition to writing, editing, and working towards his Master of Public Health degree, Dr. Lin maintains a blog, Common Sense Family Doctor. It is centered around developments in primary care health policy. Initially, the purpose of his blog was to learn more about the blogging community after AFP showed interest in moving into social media and social networking. Now, Dr. Lin continues to blog out of sheer enjoyment, and uses it as a way to integrate all of his various interests into one source. I encourage students and others considering a career in primary care to read the full profile on their website. Many thanks to staff writer Amy Tran for assembling my ramblings into a coherent narrative. At turns serious, heartwarming, and laugh-out-loud funny, In Stitches is a mostly entertaining read. So why give it two thumbs down? While Youn presents a less than flattering picture of every medical specialty other than plastic surgery, he unfortunately is especially harsh on family medicine, perpetuating several myths that have likely kept countless otherwise well-suited students from making this career choice. As a student, Youn's ignorance is a forgivable offense (though somewhat surprising, since Michigan State College of Human Medicine ranked a heady 6th out of 141 in last year's primary care-oriented social mission rankings of U.S. medical schools), but as a celebrity specialist who presumably receives referrals from family physicians for patients with body dysmorphic disorder and more serious physical conditions, it's not. I suppose I could go into family practice. It's so easy. Three-year residency, and the last year is a walk in the park. You're essentially done in two years, no pressure, and you're left with a ton of free time. I like to dabble. I can get more serious about my guitar, maybe join a band. ... Why not take it easy? I think I've found it. Family practice. Perfect for me. 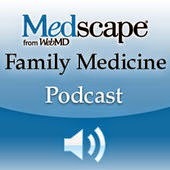 As with most residency programs, the intern year in family medicine is the most intense and demanding. Other than that, though, Dr. Youn's information is all wrong (and it's a good thing he didn't actually choose family medicine, since he would have been sorely disappointed). My third year of residency was most definitely not a "walk in the park," and there is very little truth to the myth that students who go into family medicine are "dabblers" who can't make up their minds about what medical specialty they like best ("jack of all trades, master of none," as the misguided saying goes). If you loved medicine and pediatrics and can't make up your mind which to choose, I advise medical students, do a combined Med-Peds residency. Family medicine is a specialty that treats whole families, from birth to death, not pieces of families or particular body parts. The other myth that begs correcting is Youn's father's exaggerated fear that his son will "go broke" and "have to move back home" because family physicians are paid so pitifully compared to other specialists. No doubt, my take-home pay is probably a small percentage of Dr. Youn's as a plastic surgeon, especially since most of his patients pay in cash and he can charge what he likes. But depending on the source of one's data, the median annual income for a family physician in various regions of the U.S. is somewhere between $150,000 and $180,000 - not exactly chump change, and an income level that Democratic politicians dueling over tax cuts recently defined as "billionaires" compared to most Americans. For medical students who are considering going into family medicine and want to read a more balanced source of information, I recommend the article "Responses to Medical Students' Frequently Asked Questions about Family Medicine." (Full disclosure: I am an editor of the journal that published this article, and my wife wrote the accompanying editorial.) The article gives well-documented answers about my specialty that you won't find in Dr. Youn's otherwise interesting memoir. It’s National Nutrition Month, and the American Dietetic Association is encouraging people to consult dieticians and other health professionals about making good food choices. Friends often assume that as a family doctor, I must know a lot about nutrition. And it's true that during my training, I spent countless hours memorizing the complex chemistry that allows the human body to turn sugar into energy; calculating the content of intravenous solutions for dehydrated children; and giving patients who had lost the ability to swallow liquid nutrition via feeding tubes. But this esoteric knowledge doesn't make me an expert on designing healthy meals for families. In fact, a survey published last year in the journal Academic Medicine reported that on average, U.S. medical schools provide fewer than 20 hours of nutrition education, even less than when I graduated in 2001. So when patients and loved ones ask me for tips on making healthy meals, I usually do what they do: I go online. As I discussed in a previous blog post, the federal government's widely publicized new Dietary Guidelines for Americans, while scientifically sound, unfortunately offer little practical advice. However, several government agencies provide more valuable resources online. For example, the Department of Health and Human Services' "A Healthier You" website is packed with tasty recipes, helpfully categorized by preparation time. 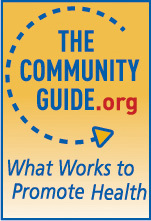 At Nutrition.gov, the U.S. Department of Agriculture has a full suite of shopping, cooking, and meal planning resources, including, "Recipes and Tips for Healthy, Thrifty Meals," and a database of approved recipes that you can search by menu item, cooking equipment, and approximate cost. Consumers can rate recipes on a 5-point scale; these ratings are then reviewed by USDA staff to determine which recipes remain on the website. The National Heart, Lung, and Blood Institute, part of the National Institutes of Health, features a mouth-watering collection of heart-healthy recipes on its "Deliciously Healthy Eating" website. A bonus: They're all collected in two attractive cookbooks with plenty of photos, which you can download or have mailed to you for free. I received a copy of the NHLBI's family meals cookbook from a friend who worked on the NIH's We Can! (Ways to Enhance Children's Activity and Nutrition) program. What sets this cookbook apart from similar collections is the information it gives parents about getting kids involved in meal preparation, estimating their daily calorie requirements, and its picture guide that teaches kids the difference between healthy (designated "GO"), somewhat healthy ("SLOW"), and unhealthy ("WHOA") foods. My own children, ages 4 and 2, figured the categories out right away. Finally, the USDA and the First Lady's "Let's Move!" campaign are jointly sponsoring the "Recipes for Healthy Kids Challenge," a national contest to select nutritious new recipes for school lunch menus, which were significantly overhauled in January to limit calories and increase servings of fruits, vegetables, and whole grains. Until May 15, you can try out the recipes of 15 semi-finalists and vote for your favorites; eight teams will win cash prizes of $1,000 to $3,000. Life presents many obstacles to healthy eating, and gentle nudges from doctors and other health professionals can only do so much to overcome them. Hopefully, though, this brief guide to government-sponsored nutritional websites (which represent only a sliver of the resources available online) has convinced you that finding healthy recipes is no obstacle at all. I was driving home after work one day when the answering service sent me a text. Mrs. Smith [a patient with chronic heart failure] was short of breath. I pulled over to the side of the road and, using my smartphone, logged on to my electronic health record. Mrs. Smith's house was just a mile down the road at a nearby senior mobile home facility. On an impulse, I made a U-turn and drove to her house. Mrs. Smith opened the door and was taken aback. She invited me in. During this impromptu house call, Dr. Bader-Omarali discovered that Mrs. Smith had been having frequent heart failure exacerbations because her German Shepherd suffered from the same condition, and had been feeding her pet her own pills because she was unable to afford to bring him to the vet. Without this visit (or her electronic health record, or her smartphone), Dr. Bader-Omarali may not have ever fully understood the reason for her patient's poorly controlled symptoms, which she was subsequently able to address. At any rate, the entire article, "The Lady with the Green Apples," is well worth reading, along with the other award winners in the journal's annual Doctors' Writing Contest. A recent research letter in JAMA surveyed more than 300 high-profile (500 followers or more) physicians on Twitter and reported results of a "content analysis" of more than 5000 of their individual tweets. As one might expect, about half of the tweets were related to health and medicine; another 20 percent were classified as "personal communications," and 12 percent were classified as "self promotional." I would be interested in knowing how @MotherinMed (internist and medical educator Katherine Chretien, MD) and colleagues determined whether or not a tweet was "self promotional" - would posting links to my blog posts count, even though I have no products to sell? At any rate, the study's major finding was that about 1 in 30 tweets were classified as "unprofessional," a category that included patient privacy violations, potential conflicts of interest, profanities, sexually explicit material, and discriminatory statements. This finding is consistent with prior reports on online professionalism and the content of medical blogs that led the American Medical Association to release a guidance statement on professionalism in social media last November. Chretien and colleagues reasonably conclude that health professionals may require more education about appropriate behavior on social media sites. But to play devil's advocate, is this really necessary? That 3 percent of tweets were "unprofessional" seemed to me a surprisingly low figure, given the great potential for abuse inherent on Twitter, where most accounts are at least semi-anonymous and few online identities other than those of celebrities are actually verified by the company. If I visited a large sample of office practices or hospitals and recorded all health professionals' conversations that were loud enough to be overheard, I suspect that at least 3 percent would probably meet the definition of "unprofessional" that this survey used. For several weeks I followed an anonymous family doctor on Twitter who would tweet funny observations about patients whom he or she saw throughout the day. No identifiable patient information was included, but these observations were frequently unflattering, and occasionally downright insulting. (One reason I suspect that many physicians love to watch the TV show "House" is that the main character routinely says things that we know we could never actually say out loud to patients and get away with.) This Twitter doc had a large following, many of whom also appeared to be practicing physicians who "tuned in" to this reality show-style channel for a daily dose of humor at the expense of anonymous patients. Eventually, I tired of reading these tweets and hit the "unfollow" button. But the question remains: does this Twitter user's behavior cross the line? Should he or she be formally reprimanded for "unprofessional" behavior and instructed to cease and desist? And if so, why? A local reporter pulled another fast and loose assumption on unsuspecting readers recently, though this time I’ll cut her some slack. She was merely conveying a conventional belief shared by many other Americans. The story was very sad. A well-loved, perfectly healthy minister, the Rev. Ken Diehm, became suddenly ill and developed a severe headache. Best I can piece together, he had bleeding in his brain causing the headache that was difficult to control. Somewhere along the way they discovered he had acute leukemia causing the bleeding. In spite of aggressive treatment, he died within a day. This could be dismissed as a throw-away filler line, but it speaks of an erroneous assumption that adds to our exorbitantly expensive healthcare system. If her point was to increase the emotional impact of the story, her description that he was an “. . . avid bicyclist and sports enthusiast [who] was ‘young and physically fit” sufficed. Mentioning the annual physical didn’t make him any healthier. It has long been recognized in the U.S. and Canada that an annual physical is useless. Specifically, I’m talking about the actual physical examination. For me to spend time with a patient who has no significant symptoms probing her ears, throat, and other more personal orifices is a colossal waste of both of our time and resources (except for occasional Pap smears). I’m sure a few doctors and patients can tell stories about an abnormality that was detected in an annual physical that turned out to be something serious. This anecdote assumes early detection changes the final outcome, which is often an erroneous assumption. These anecdotes also discount the impact and harm of false positive findings that occur much more often. My deeper concern is the false hope of control implied in the statement. The reporter assumed that if acute leukemia was detected two weeks earlier, the minister could have been cured even before his symptoms started. There of course is no evidence that any physical examination or blood test saves lives in asymptomatic people with leukemia. I am not suggesting a periodic visit to a physician isn’t worthwhile. I am suggesting that much more is gained focusing the clinic visit time on talking with your doctor and targeting tests and interventions based on clear risk factors. If I were king of the medical universe, I would rid the lexicon of “annual physical” and replace it with “periodic conversation.” The latter phrase is a much more accurate description of the useful part of a wellness visit. Some patients such as healthy young men have little reason to see doctors unless they have issues to discuss. I have no idea why Rev. Diehm’s race ended a few days ago. But I do know God promises a long and healthy life to no one. The U.S. spends 2.6 trillion dollars a year on healthcare and hundreds of billions of this total is spent trying to delay our inevitable passing from this existence to the next. We fear death as a society and spend lots of other people’s money attempting to postpone our mortality. Those resources could go to other uses. We wish we could control when and under what circumstances we die, but we can’t, and annual physicals – and many other tests and interventions that are commonly provided — change this reality extremely little, and in many cases not at all. Quality measurement in primary care needs to move beyond what is easy to measure. For example, current metrics target underuse of health services (e.g. not ordering enough recommended screening tests) rather than overuse (e.g. ordering tests too often or for no good reason). They have a myopic focus on individual chronic conditions rather than assessing overall quality of care for a patient with multiple diseases, where some disease-oriented goals might be inappropriate. They provide retrospective information rather than real-time feedback. And they fail to measure at all many of the personal qualities that most patients would agree are essential to a good primary care physician. care coordination for people who need care beyond the capacity of the primary care setting. While I wholeheartedly agree that these elements are essential for good primary care, they aren't incompatible with traditionally measured qualities, either. In other words, you can see a doctor who knows the most appropriate drugs to use to manage diabetes and congestive heart failure, and also happens to be great at focusing on the whole person and coordinating care with other health professionals. Rather, what Dr. Moore seems to be arguing is that the latter should come before the former in value, which would have been obvious to a previous generation of family physicians, but is a mildly revolutionary concept in an increasingly "pay for performance" health care world. I think he's on to something. Ten years ago, while training to be a family doctor, I spent several months admitting sick children to a hospital's pediatric ward. We were almost always treating toddlers for severe dehydration—the result of vomiting and diarrhea. Most of them had picked up a highly contagious bug called rotavirus from contaminated food, feces, or other children. It was easy to spot them, with their sunken eyes and parched skin. They looked desperately thirsty, but were too ill to drink. Unfortunately, the only treatment for most food-borne illnesses was—and still is— fluid replacement and time. Today, the infant rotavirus vaccine has made this type of food poisoning much less common. However, the Centers for Disease Control and Prevention still estimates that food-borne illnesses affect 48 million American children and adults each year, leading to 128,000 hospitalizations and 3,000 deaths. In recent years, infectious bacteria such as salmonella have been implicated in outbreaks of food poisoning from contaminated eggs, peanut butter, and raw vegetables. A recent report in the New England Journal of Medicine revisited the large salmonella outbreak in 2008 that sickened at least 1,500 people in 43 states and Canada. More than 300 people were hospitalized, and two died. Months of meticulous detective work by public health officials from the CDC and state health departments eventually traced the source to tainted jalapeño and serrano peppers grown on a single farm in Mexico. It may surprise you that until recently, the branch of the federal government that regulates food—the Food and Drug Administration—had little power to protect consumers against food-borne illnesses. But a food-safety law signed by President Obama in January gave the FDA new authority to order mandatory recalls of food products it suspects are contaminated; establish nationwide safety standards for growing and harvesting produce (the U.S. Department of Agriculture will continue to regulate meat and poultry products); inspect food processing plants overseas that export to the U.S.; and require that food manufacturers establish proactive safety plans to prevent contamination. This is all good news, but the new law also contains some concerning loopholes. Small food processors and farmers, who have argued that these regulations would be too taxing to implement, are exempt from most of the law's provisions. And despite the law, high-risk food manufacturers are still only required to undergo inspections once every three years. What’s more, a cost-cutting Congress neglected to increase the FDA's budget, hindering the agency’s ability to hire new inspectors. And a shortage of inspectors likely means inspections will occur less frequently than the three-year minimum, if at all. The take-home message: It's as important as ever to protect yourself and your family from food poisoning. Sign up at Foodsafety.gov to have government food-safety updates and recalls E-mailed to you. If you have children, make sure they are vaccinated against hepatitis A—another food-borne virus that infects the liver—and rotavirus; the CDC recommends all kids receive these shots before age 2. Contrary to popular belief, most disease-causing viruses and bacteria are found in the kitchen—not in the bathroom. Frequent hand-washing for at least 15 seconds (about as long as it takes to sing the "Happy Birthday" song twice), thoroughly rinsing raw vegetables, and cooking meat—especially the ground-up variety—until well-done are all simple ways to prevent food-borne germs from reaching your dinner table.